From the outset this book ticked a huge amount of boxes for me, with a split narrative set in post war 1950s Missouri, and also 1940s war-time Switzerland. 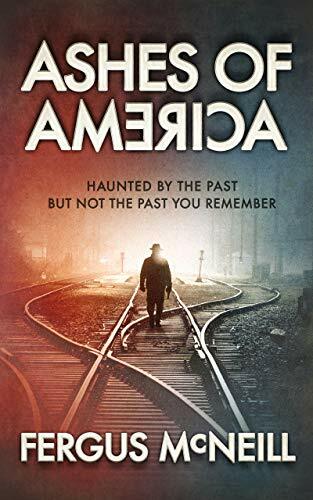 McNeill captures effortlessly, the zeitgeist of the post war era in America, and immerses us in a period where everyone was touched in such measure by the seismic events of this conflict. None more so than his main character Frank Rye, a cop in Missouri, whose back story surrounding his wartime service brings a real vigour and excitement to what could easily just be a linear tale of betrayal and murder. With the brutal killing of a fellow cop in a real wrong time, wrong place scenario, Rye quickly realises that someone is baying for his blood, and finding himself suspended, he sets out on a maverick mission to catch the killer. All well and good, but here’s the thing that McNeill does so well. By pivoting us back to Rye’s clandestine activities in Switzerland during his army service, McNeill has achieved the not so achievable feat of presenting us with two seemingly unrelated narratives that mirror the energy and suspense of each other. As a fan of spy thrillers, and crime fiction, this provided a hugely enjoyable reading experience. The 1940s Switzerland based story is a perfect example of a well executed spy story, which thanks to McNeill’s excellent rendition of atmosphere and location, sees us following Rye through the twisted streets and dark corners of this beautiful Swiss setting, chasing shadowy figures, relying on his smarts, and trying to avoid physical harm. When I was reading this, I was instantly reminded of the black and white hues of Carol Reed’s The Third Man as Rye seeks to make sense of the strange situation he finds himself in, and the array of secretive characters he becomes inextricably entangled with in this wartime subterfuge. McNeill employs a real smoke and mirrors feel to this storyline, keeping us and Rye himself in a shroud of uncertainty as to why he is there, and who exactly can be trusted as everyone seems duplicitous to one degree or another. 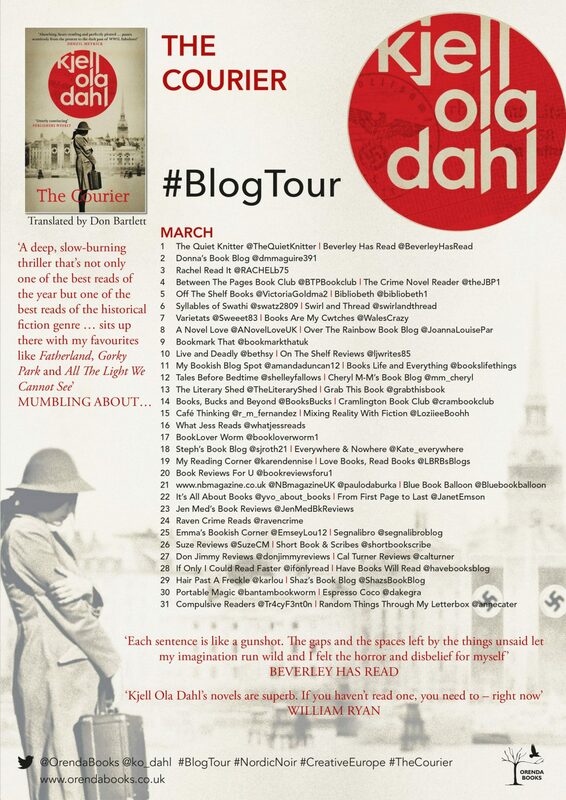 It is a beautifully crafted espionage tale, punctuated by newspaper excerpts, keeping us firmly rooted in this idyllic setting with its own claustrophobic intensity whilst reminding us of the war raging on elsewhere. In 1950s Missouri, as Rye pursues a murderer and his female accomplice from his backwoods station to Kansas City, there is all the tension and suspense of a crime thriller, where in all the best tales, Rye turns maverick cop, but in true Jack Reacher fashion, reveals a few more sensitive facets to his character, that the opening of the book has firmly disabused us of. With a steely determination and a ready fist, Rye succeeds in antagonising most of those he encounters in his path, which leads to an exciting and tense counter-narrative, which then whips you back to the alpine subterfuge, and the slightly different pace, intensity but no less exciting storyline. When encountering a character like Rye, tough, dogged and cynical in outlook, I almost always take to them, and I quickly thought that there would be a real mileage to this character in further books, dependent on whether he reached the end of the book in one piece. Well, you’ll have to find that out for yourselves, and I would urge you to find this out for yourselves. Really enjoyed this one, and good to see the return of Fergus McNeill. When an Israeli tech entrepreneur disappears from Charles de Gaulle airport with a woman in red, logic dictates youthful indiscretion. But Israel is on a state of high alert nonetheless. Colonel Zeev Abadi, the new head of Unit 8200’s autonomous Special Section, who just happens to be in Paris, also just happens to have arrived on the same flight. For Commissaire Léger of the Paris Police coincidences have their reasons, and most are suspect. When a second young Israeli is kidnapped soon after arriving on the same flight, this time at gunpoint from his hotel room, his suspicions are confirmed – and a diplomatic incident looms. Back in Tel Aviv, Lieutenant Oriana Talmor, Abadi’s deputy, is his only ally, applying her sharp wits to the race to identify the victims and the reasons behind their abduction. In Paris a covert Chinese commando team listens to the investigation unfurl and watches from the rooftops. While by the hour the morgue receives more bodies from the river and the city’s arrondissements. Opening with the baffling kidnap of a, it has to be said, quite annoying Israeli tourist from Charles de Gaulles airport in Paris, Dov Alfon constructs a intense and absorbing thriller which brings to the fore the global problem of not only the secrecy and power games within national security agencies, but their inexplicable need to withhold and conceal information from each other. Few are better placed than Alfon, as a former Israeli Intelligence officer himself, to expose to some degree the daily frustrations and power struggles that lay behind these most secret of organisations, and through the power of fiction serve it up to us in its startling reality. I think this was the single most notable factor of this book for me, that all this, for want of a better word, childish squabbling, and some pretty damn deep-seated corruption (that could not all be entirely fictional) frustrates and confuses the investigation, and those charged to carry it out. It was fascinating to bear witness to this and with Alfon’s personal experiences undoubtedly woven into the story, it added an extra level of enjoyment to the book itself. Admittedly at first it was a little confusing to grasp which particular branch of security was which, but as the main players began to be more fully fleshed out, it was easier to decipher who was working with who, and against who for whatever nefarious reason. 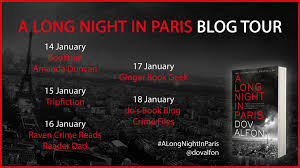 I thought the characterisation was superb from the beleaguered and world weary Commissaire Leger in Paris, finding himself involved in a difficult position liaising with the secretive and highly intuitive Colonel Zeev Abadi of the Israeli Intelligence Unit 8200. Abadi is a flawed but incredibly interesting character, whose unique style of investigation and distillation of information received, frustrates not only Leger but others within the disparate branches of Israeli Intelligence. Taken in tandem with the experiences of Abadi’s deputy, the feisty, and at times, wonderfully insubordinate Lieutenant Oriana Talmor, Alfon has succeeded in not only crafting a gripping thriller, but populating this with a cast of entirely credible and absorbing characters. As all their inherent frustrations come to the surface during the course of the investigation, and the external forces that seek to thwart them tighten their grip, Alfon puts his characters under pressure to an alarming degree, but not without its entertainment for the reader. Abadi is a mesmeric character in the way that brooding, loner men always are, and thankfully Talmor has more than enough grit about her to hold her own in the misogynistic institutions that try to suppress her more instinctive methods, and use her steely determination to overcome her recent professional disappointments. 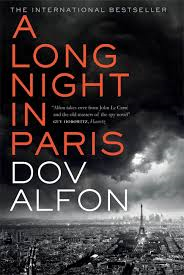 Despite my slightly disparaging comments on Le Carre’s book at the beginning I am a lover of his work, and in terms of the plot construction, Alfon weaves a similar spell, in this dark tale of subterfuge and diplomatic difficulties. Focussing not only on the world of espionage, Alfon also incorporates Israeli- Palestinian relations, embezzlement, a Chinese hit squad and more, using the backdrop of Paris both in its grandeur and grinding poverty to great effect. This is an intelligent but not too complex thriller, less high octane and more measured than some, but nonetheless a fascinating and highly enjoyable read, which kept me hooked. Recommended. 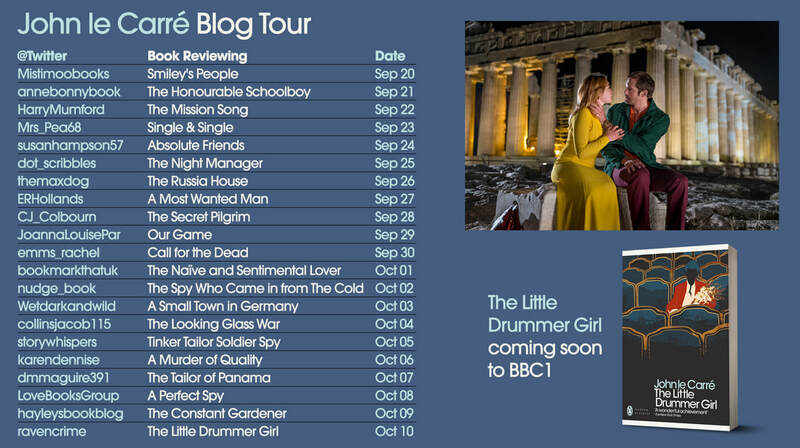 And so to the last stop on the John Le Carre blog tour, and with the upcoming six part BBC screen adaptation, what better book to conclude this celebratory tour with than The Little Drummer Girl . 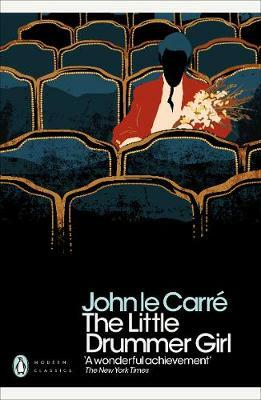 The release of the book into a Penguin Modern Classic marks the completion of a nine-year project by Penguin to publish twenty-one of Le Carre’s novels, thus making him the most published author in this iconic series, acknowledging him as a writer not only for today, but for all time. As Helen Conford, Publisher Director at Penguin Books says, ” John Le Carre is one of the most important writers of our generation. For twenty-one of his novels to be published as Penguin Modern Classics is an acknowledgement not only of his immense literary achievement and the timeless quality of his work, but a well-deserved recognition of his significance as a writer who holds a mirror up to society, and encourages us to question the world around us.” The October transmission of the screen adaptation is brought to us by the award winning producers of The Night Manager, and stars Alexander Skarsgard and Florence Pugh. 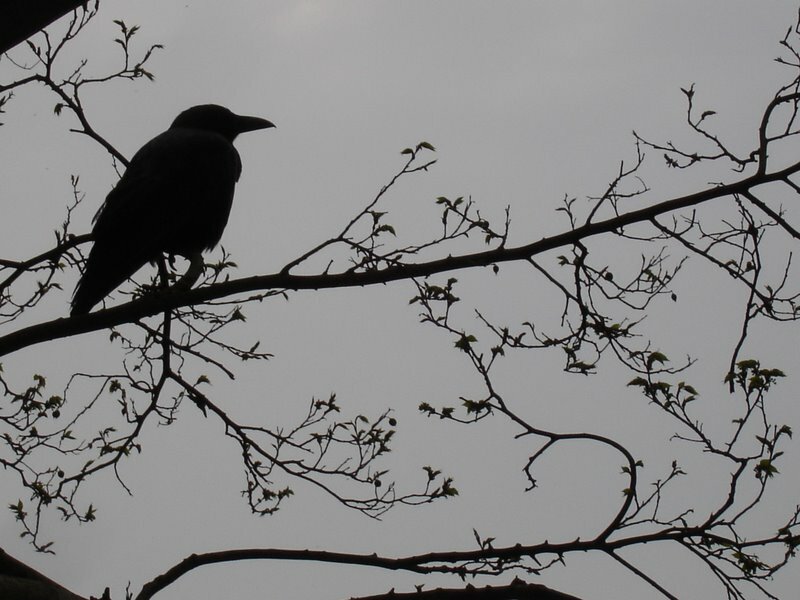 The Raven will be in contact soon for your mailing address! They don’t call her Karla anymore. She’s Charlotte Alton: she doesn’t trade in secrets, she doesn’t erase dark pasts, and she doesn’t break hit-men into prison. Except that is exactly what she’s been asked to do. The job is impossible: get the assassin into an experimental new prison so that he can take out a target who isn’t officially there. It’s a suicide mission, and quite probably a set-up. So why can’t she say no? Starting with the intriguing premise of breaking someone into an experimental prison complex called The Program, to perform a hit, I was instantly intrigued by the depiction of this location. The Program works as an almost self-sufficient prison community, constructed around a run down neighbourhood of houses with its own places of business and rules, but is a nightmarish place to be incarcerated if you are not aligned with the head honchos. Hence, the idea of a professional hitman, Johanssen needing to be placed within this complex to track down someone who may or may not be there, instantly provokes a taut tension to the story. With his actions overseen by the mysterious intelligence operative Charlotte Alten aka Karla, who has spent years selling secrets to shady criminals. 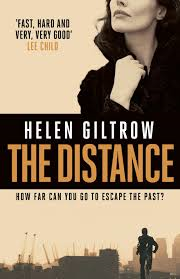 Giltrow neatly builds up Karla’s reservations and fears for her former client Johanssen’s safety as he becomes a brutalised inmate of this violent jail- an excellent cast of baddies are at work here- seeking to avoid detection by those he has tangled with in the past. 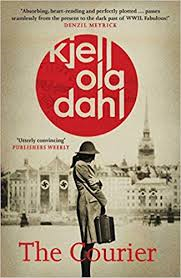 The depiction of his experience are violent and uncompromising, but this adds to inherent tension of the plot, as Johanssen seeks the elusive Cate, but why is she so hard to find and who wants her dead? As you can probably tell, I was really quite keen on this, and despite how long it has taken me to get round to reading the book, it was more than worth the wait and delivered in spades. Can’t wait to see what Giltrow produces next. Highly recommended.